Learn to build new and exciting LEGO® creations! 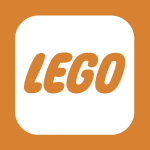 LEGO® Camp will include LEGO® activities each morning, led by Play-Well TEKnologies instructors. In the afternoon campers will participate in swimming, and other fun J Camp activities. Sign-up early as we expect these camps to fill up. Save the world with LEGO® Super Heroes! Build the hideouts and vehicles of your favorite characters, and learn what makes them Super Hero Engineers! Campers will design and build a city where ingenuity and imagination can solve conflicts. In this advanced Play-Well engineering camp, youth will re-engineer standard LEGO® vehicles into mechanized machines that can traverse challenging obstacles, battle against fellow bots, and take on colossal creations! Bring Minecraft to life using LEGO® bricks. Roll the dice to mine for resources to build a Zoo, create a Medieval Castle, and design a Tree House Village.